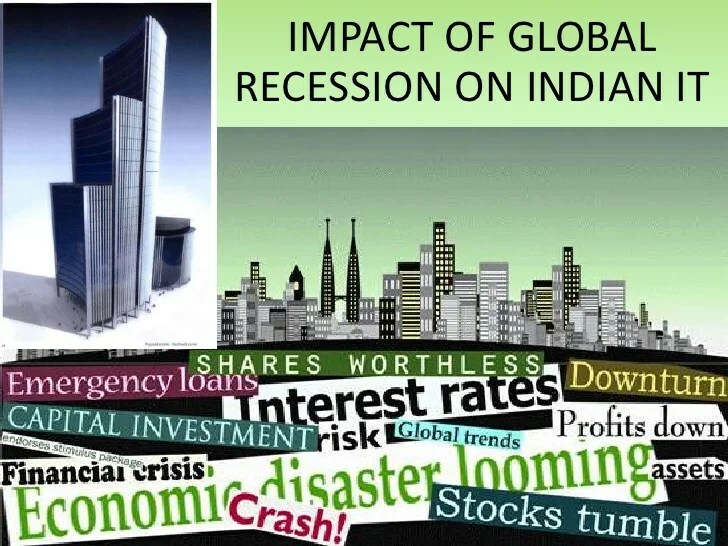 Citi’s global chief economist, Willem Buiter, published a note to investors saying he believed it was “likely” that the world was about to sink into a global recession & it may already be in that recession. Buiter said that if China’s growth is actually less than that stated in its official #s, then the current level of weak growth would not be enough to avoid a global recession. Many people distrust China’s official GDP #s, which place growth at about 7%. 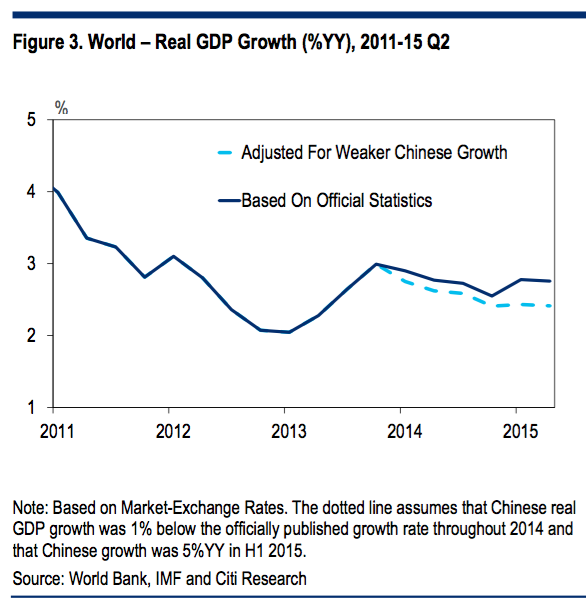 China’s real level of growth may be as low as 4%. Buiter’s definition of recession is a technical 1 & it came as part of a long, thoughtful paper dated October 6 that was mostly devoted to a discussion of how recessions are defined. (He has also made this case before.) Most people define a “recession” as 2 consecutive quarters of declining GDP growth. But Buiter — along w/other economists — prefers a definition which accounts for so-called “growth recessions,” when GDP is growing but at a pace slower than population growth, or a pace slower than growth in unemployment. In other words, if a country grew at 2% GDP but had a population growth of 5%, unemployment would likely increase & the change in GDP per capita would be negative. When you account for those definitions & factor in the slowdown in China, then the global economy may be running at “below normal activity” & faces “a significantly negative output gap” or, in other words, a global recession. Another year of sub-potential growth would therefore imply that the world economy would probably be back in recession according to both our criteria. The recent slowdown has resurrected concerns that the global economy may be at risk of falling into recession. We share these concerns. Global per capital real GDP growth in 1980-2014 was 1.4% (based on market exchange rates) & 1.9% (PPP-based). Given that based on the official statistics, per capita growth ran at around 1.6% (ME) & 2.1% (PPP) in H1 2015, adjusting for true (weaker) Chinese growth implies that we are probably running below these long-term average growth rates. The IMF recently roughly estimated potential growth for AEs at 1.5% & at 5% for EMs for 2015-2020.15 Applying the respective (2014) weights in global GDP implies global potential growth of 3.0% (ME) & 3.4% (PPP), quite a bit above current estimates current rates of activity once we factor in our estimate of the true pace of Chinese growth, so again suggesting that global growth probably currently runs below the conventionally defined potential growth rates. Citi’s house view is currently that global growth in 2016 will be 2.9% at market exchange rates based on the official statistics & around 2.6% if true Chinese growth is reflected, & therefore probably well below global potential growth. Overall, therefore we think that the evidence suggests that the global output gap is negative & that the global economy is currently growing at a rate below global potential growth. The (negative) global output gap is therefore widening. It is somewhat more difficult to assess the size (some would even say sign) of the output gap, but our interpretation of the evidence is that from an output gap that was probably quite close to 0 fairly recently, continued sub-par global growth is likely to put the global economy back into recession, if indeed the world ever fully emerged of the recession caused by the global financial crisis.